NBA postseason awards: Sportsmanship Award. NBA.com. Turner Sports Interactive, Inc. [2008-06-02]. 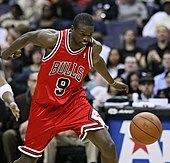 ^ 1.0 1.1 1.2 Chicago's Deng Wins 2006-07 NBA Sportsmanship Award. NBA.com. Turner Sports Interactive, Inc. 2007-05-03 [2007-07-11]. ^ 2.0 2.1 2.2 2.3 2.4 2.5 Divisional Winners Announced for NBA Sportsmanship Award. NBA.com. Turner Sports Interactive, Inc. [2014-04-29]. （原始内容存档于2013-12-08）. ^ 3.0 3.1 3.2 3.3 Hill first-ever three-time NBA Sportsmanship Award winner. NBA.com. Turner Sports Interactive, Inc. 2010-04-26 [2010-04-26]. （原始内容存档于2010-04-29）. ^ 4.0 4.1 New York's Jason Kidd wins NBA Sportsman Award. NBA.com. Turner Sports Interactive, Inc. 2013-04-30 [2013-04-30]. ^ 名人堂官網成員名單. 奈史密斯篮球名人纪念堂官網. [2014-12-06] （英语）. ^ NBA Players From Around The World: 2008-09 Season. NBA.com. Turner Sports Interactive, Inc. [2009-04-28]. ^ Admiral Lands Sportsmanship Award. NBA.com. Turner Sports Interactive, Inc. 2001-05-07 [2008-07-02]. ^ Spurs' Steve Smith Wins Sportsmanship Award. NBA.com. Turner Sports Interactive, Inc. 2002-06-12 [2008-07-02]. ^ Allen's message: Be true to yourself. ESPN.com. 2003-05-13 [2009-03-08]. ^ Hornets’ Brown Wins Sportsmanship Award. NBA.com. Turner Sports Interactive, Inc. 2004-04-24 [2008-07-02]. ^ L.A. Clippers’ Elton Brand Wins NBA Sportsmanship Award. NBA.com. Turner Sports Interactive, Inc. 2006-05-01 [2008-07-02]. ^ NBA star Deng ready for GB debut. BBC. 2006-10-18 [2008-08-14]. ^ Nuggets' Billups named Sportsmanship Award winner. NBA.com. Turner Sports Interactive, Inc. 2009-04-28 [2009-04-28]. （原始内容存档于2009-04-30）. ^ Warriors' Stephen Curry wins NBA Sportsmanship Award. NBA.com. Turner Sports Interactive, Inc. 2011-05-05 [2011-05-05]. （原始内容存档于2011-05-08）. ^ Mavericks' Jason Kidd wins NBA Sportsmanship Award. NBA.com. Turner Sports Interactive, Inc. 2012-05-03 [2012-05-03]. （原始内容存档于2012-05-08）. ^ Grizzlies' Conley claims NBA Sportsmanship Award. NBA.com. Turner Sports Interactive, Inc. 2014-04-24 [2014-04-24]. ^ Kyle Korver Wins 2014-15 NBA Sportsmanship Award. NBA.com. Turner Sports Interactive, Inc. 2015-04-29 [2015-04-29]. ^ Grizzlies' Conley wins 2015-16 NBA Sportsmanship Award. NBA.com. Turner Sports Interactive, Inc. April 23, 2016 [April 23, 2016]. ^ NBA Awards 2017. NBA.com. Turner Sports Interactive, Inc. June 26, 2017 [June 26, 2017].